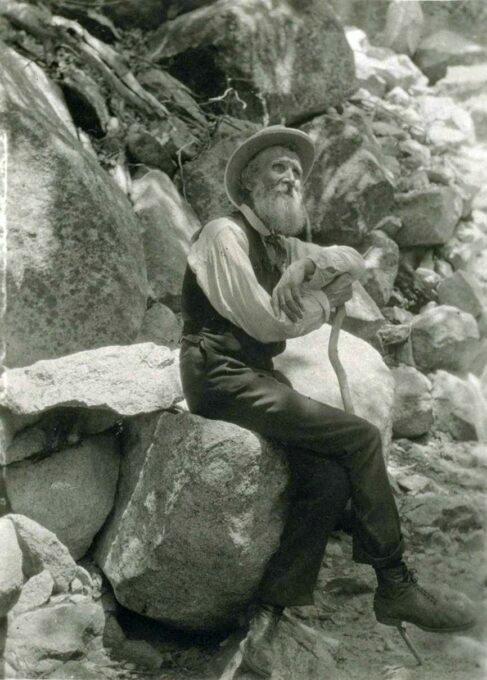 John Muir is often portrayed as a naturalist that wanted nothing more than to preserve our western forests. That view of Muir is not entirely correct. Most people today do not realize that John Muir was actually an advocate for access. Many of his descriptive writings about Yosemite were done to inspire people to visit the Sierra and enjoy it’s wonders and beauty. More than anything, he wanted people to be able to access the forests, the high country and the mountains. This is evident in a letter he wrote to President Roosevelt on September 9th, 1907. 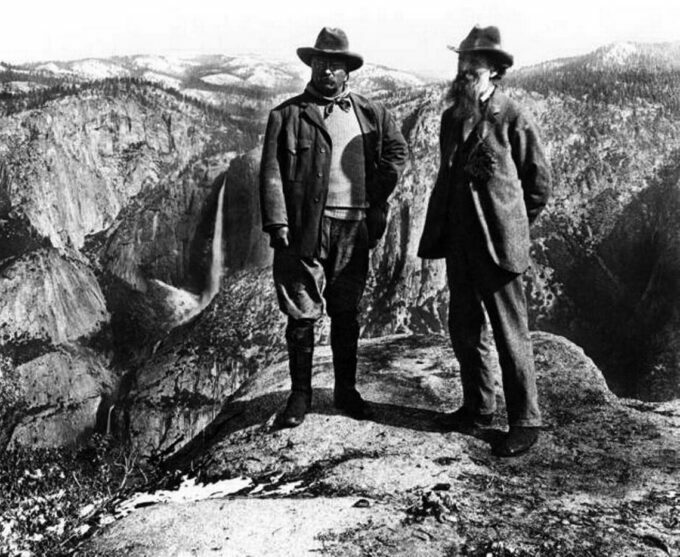 Muir opens with the sentence: “I am anxious that the Yosemite National Park may be saved from all sorts of commercialism and marks of man’s work other than the roads, hotels etc. required to make its wonders and blessings available.” Yes. You read that correctly. John Muir wanted roads so people could access the forest for recreation. Further on in the same letter, Muir argues against building the Hetch-Hetchy dam stating: “If Hetch-Hetchy should be submerged, not only would it be made utterly inaccessible, but this glorious canyon way to the High Sierra would be blocked.” Essentially, Muir was telling the President that if the dam was built, not only would it ruin the Hetch-Hetchy valley, but it would also block a route to access the mountains. 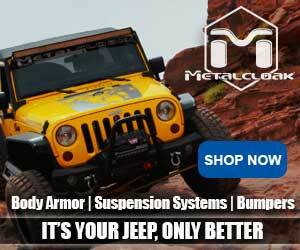 Mr. President, hook a brother up with some roads! A hundred years after that letter was written, Muir’s message and goal of keeping public lands open has been seemingly forgotten by public land managers. Through the process of route designation in National Forests, thousands of miles of fire trails, logging roads and basic dirt forest roads that even a normal car could drive down have been erased off the motor vehicle use maps and closed to the public. Instead of trying to increase access to our own lands, we have been shut out. My all time favorite toy as a little boy was my Evel Knievel Stunt Cycle. To this day, I can still remember unwrapping it on Christmas morning. I know EXACTLY how Ralphie felt in the movie “A Christmas Story” when he got his Red Ryder BB gun. I was the happiest boy on the planet, and by that afternoon I had already pulled 1000 wheelies with it across the kitchen floor. Later that day, when all the neighborhood kids met up to see what each other had gotten for Christmas, I found out that my neighbor Billy had also gotten an Evel Knievel Stunt Cycle. Billy however, had not taken the toy out of the box. He said it was a “collectible” and would be worth a lot of money one day. He did not want to “ruin” it. For me, that was just unfathomable. Toys are meant to be played with! To this day, 40 years later, I still have that toy. My little 7 year old boy was all smiles playing with it in the garage just the other day. Despite the hundreds of hours playing with it, I took care of it and never thrashed it, so it has lasted that long. I still talk to my childhood friend Billy. His Evel Knievel is still in it’s box, which is covered in dust, up in the rafters of his garage. The Land of Many Uses! Except OHV use. While Carhart was one of the first people to push the idea of preserving “wilderness areas”, he also understood the importance of recreation on public lands. Recreation in it’s many forms, hiking, hunting, camping, bird-watching, horse-back riding, off-roading etc., are all viable and important uses of public lands. Camping and experiencing nature is not only relatively cheap, it is good for the soul, especially in today’s fast paced world. Camping in nature and enjoying a fire underneath a starry sky is a great way to “re-charge.” But in order to enjoy all of these activities in the forest requires access to the forest. Dirt routes on National Forest land are not only used by the Jeeper crowd, but by families and other types of recreationists who just want to get away into the woods. Most of the routes erased off Forest Service maps during “route designation” were not hard-core 4×4 trails, but normal dirt forest roads, including many “dead-ends” that led to possible camping areas. Less roads directly leads to less access for all types of recreation activities. So one of the biggest arguments for access to forest roads is so that people can actually enjoy the forest for all different types of activities. The more access to public lands, the more opportunities for recreation. The more opportunities for recreation, the more recreationists, and in turn, the more money generated by rural towns and stores. On any given weekend in the small town of Pollock Pines California on highway 50, many out-of-towners can be found in the local grocery store or filling up at the gas station. Off-roaders, hunters, campers, hikers, dirt-bikers, fishermen and all other types of people seeking outdoor recreation in the mountains above Pollock Pines spend their money at this “last stop” before they head up the hill. While many locals grudgingly refer to these people as “flat-landers”, they all respect the fact that they are bringing money and jobs into their town. Two Mandatory stops on the way to the Rubicon, the Georgetown Hotel and Uncle Tom’s cabin. 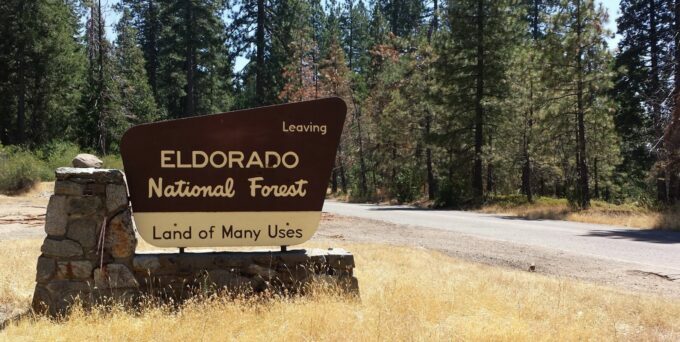 As dirt routes in the local National Forest near Pollock Pines were erased off the forest service maps through route designation, people recreating in that forest are now finding more crowded campsites and roads as the growing number of forest users are being funneled into smaller areas. During the wet season it becomes even worse, when all of the off-road activity in that forest is limited to just ONE road, creating a massive log-jam of different types of forest users in one small area. Not wanting to deal with the crowds or the traffic, less and less people are now using that forest, which means less income for the community. The outdoor industry is a multi-billion dollar a year industry, and many small towns near public lands benefit greatly from the income generated from it. When it comes to arguing for 4×4 routes, especially with politicians, the economic impact is ALWAYS the strongest argument in your favor. One of the major reasons Johnson Valley and the Hammers trail system was saved in Southern California, is that recreation and The King of the Hammers generates a lot of revenue for the local communities. For politicians, money in their districts is always the bottom line. The Jeep Wagoneer in it’s natural environment. At the auto parts store. On a side note, one very powerful thing that you can do to keep public lands open to the public, is not just to buy locally, but let the businesses know why you are buying from them. 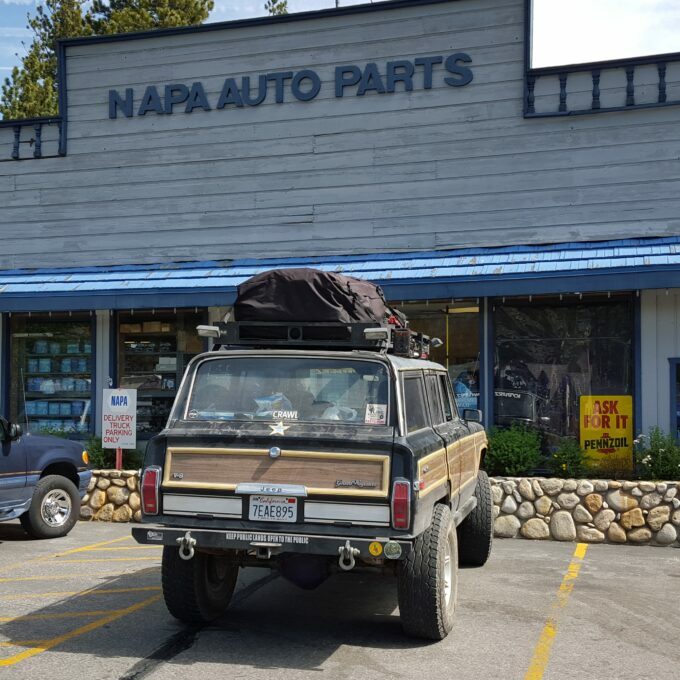 For example, very time I go to Johnson Valley for the King of the Hammers, I buy all my groceries and supplies at Lucerne Valley Market and Hardware, and then I MAKE SURE to tell the people at that store that I am heading to the King of the Hammers. My last fill up before I head up to the Rubicon trail is always Crystal View Station in Pollock Pines, and I also make it very clear to them why I am there. While it may seem like a trivial thing, if business owners near trails realize that a good portion of their income comes from off highway vehicle enthusiasts, they will become key allies in keeping public lands open to the public. Our public forests are not just used for recreation, but also for harvesting. While the first things that normally come to mind when many people hear “harvesting” on public lands is hunting for game or logging, there is another type of harvesting that many people outside of rural areas really know about: harvesting firewood. 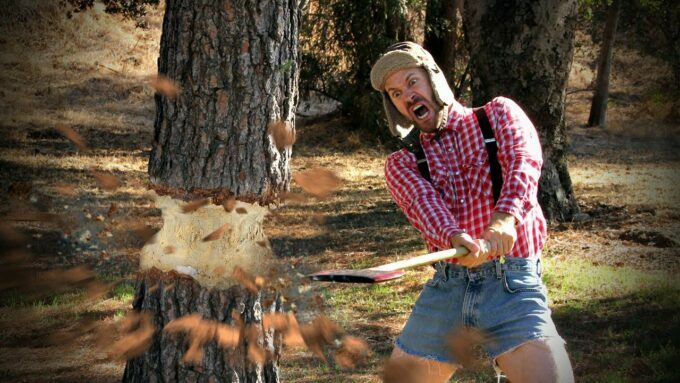 I’m a lumberjack and I’m OK! Many National Forests sell fuel-wood permits that allow the public to cut down dead trees for firewood. Nearly every National Forest and BLM area has different rules when it comes to harvesting wood, so it is important to check with your local land managers beforehand. In my local forest, a fuel wood permit is just five dollars per cord of wood that you harvest. You can cut down hardwood trees such as oak that are 10 inches in diameter at eye level, or soft wood such as pine that are 20 inches in diameter at eye level. It is important to note that some forests do not allow you to cut down standing dead trees, you can only take wood that has already fallen, so again, check your forest’s regulations. Not only can this wood be used to heat your home if you have a fireplace, with a cord of wood in my area going for more than two hundred dollars, you could also turn a nice profit selling the wood you cut. Because of this, many rural folks also cut wood to supplement their income. Harvesting wood also helps to clear the forest of dead, dry wood that can fuel forest fires, which brings us to our next arguments for forest roads — emergencies! To say that forest fires in California have been “bad” is an understatement. I have felt the loss personally. An old friend and co-worker of mine lost his life in the “Camp” fire this past year. Many lives and homes have been lost. It has been an absolute nightmare for many California families. National Forests in California used to have thousands of miles of dirt routes, logging roads and skid trails all through the forest before route designation. Not only could the public use these routes for recreation and harvesting, but the routes also allowed access to the forest with emergency vehicles. Since many of these routes have been closed though route designation, many of them are impassable because of fallen logs and overgrown brush. In turn, those logs and brush turn into possible ladder fuels that ignite trees. 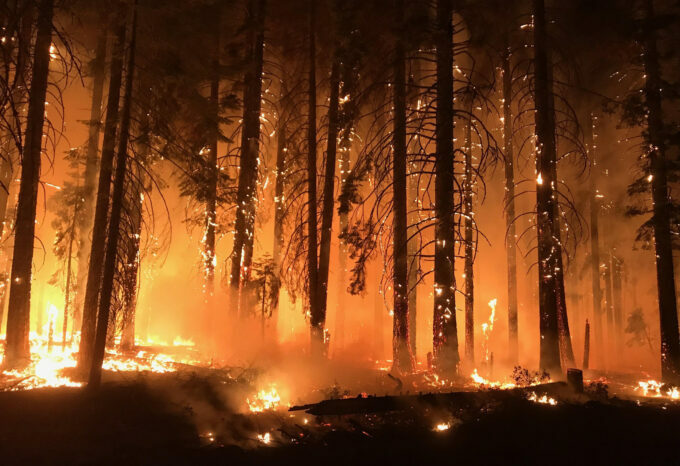 National Forest (and BLM) plans and NEPA documents MUST allow for and strategically locate roads that fire responding equipment can use to suppress wildfires. Without access for wheeled equipment, fires can rage into infernos. Public lands are just that, they are public. They do not belong to the Federal Government, they are just managed by the government for us, so we have a say in how we want our lands to be used. The next time you find yourself arguing to open back up routes, or are trying to argue for new ones to be opened, keep these four arguments in mind. Thanks for sharing. I’m sorry for the loss of your friend. The damage caused by forest fires can never be overstated, the loss of roads has been understated for many years. Some people believe the only way to “save” a forest is to prevent people other than themselves from using them. I grew up in Colorado. Now many of the places where my family played, camped, fished, hunted, etc. are not available. In too many cases, “Wilderness Areas” have been created, which is fine for those who own horses, are mobile. What about the rest of us who may have mobility challenges? We seem to be out of sight and out of a place to go, unless we want to go into evermore crowded formal campgrounds. As a wild land firefighter in an inter urban interface area, I have been attempting to make this point for years. Access does two things in regards to fire. 1) if there are more eyes in the forest, it is more likely to catch a fire in its early stages and can be dealt with in a more timely manner. 2) if we, as responding agencies, cannot access the area easily, as well as have an effective means of escape, for us, and our equipment, we are less likely and/or unable to commit resources to that fire. 3) natural firebreaks such as roads make it much easier to establish anchors and jumping off points as well as resource drops. Quite simply, no roads equals larger fire quicker.